Volodymyr Yermolenko is a Ukrainian philosopher and analyst, director of European projects at Internews Ukraine, editor in chief at UkraineWorld.org. After a period of silence, Russia is now taking new steps to return to the Council of Europe’s Parliamentary Assembly, which sanctioned Moscow for annexing Crimea and military actions in eastern Ukraine. Russia made its last such attempt a year ago – but the public outrage that ensued deterred its efforts. This time, the country’s approach is more subtle. Let’s take a closer look at what it is doing. In 2014, when Russia illegally annexed Crimea and played a central role in the launch of war in Eastern Ukraine, the Parliamentary Assembly of the Council of Europe became furious. In the years that followed, it passed a number of resolutions condemning Russia’s behavior and imposing restrictions of its work in PACE: it suspended Russia’s right to vote, its representation rights in PACE’s bodies and its participation in election observation missions. The conditions specified in these resolutions were very strict. Most crucial was resolution 2132 (2016), which demands that Russia “reverse the illegal annexation of Crimea and allow Ukraine to regain control of the peninsula” and “withdraw its troops from the territory of Ukraine and stop providing the separatists with military supplies.” It also mandates that “only significant and measurable progress” towards implementation of these demands can restore PACE’s full dialogue with Moscow. The logic of these wordings is clear: restrictions against Russia can be lifted only if Moscow fulfills the conditions laid down by the resolutions. This includes the reestablishment of Ukraine’s sovereignty over Crimea and occupied parts of Eastern Ukraine. But, as we know, Russia has avoided any steps to implement these demands. Further, it even withdrew from PACE’s sittings and stopped its financial contributions to the Council of Europe’s budget (although as a member of the Council of Europe it should continue making payments). In this way, it has blackmailed Europe’s top democratic institution, insisting that it will not renew its payments unless its suspended rights are totally restored. 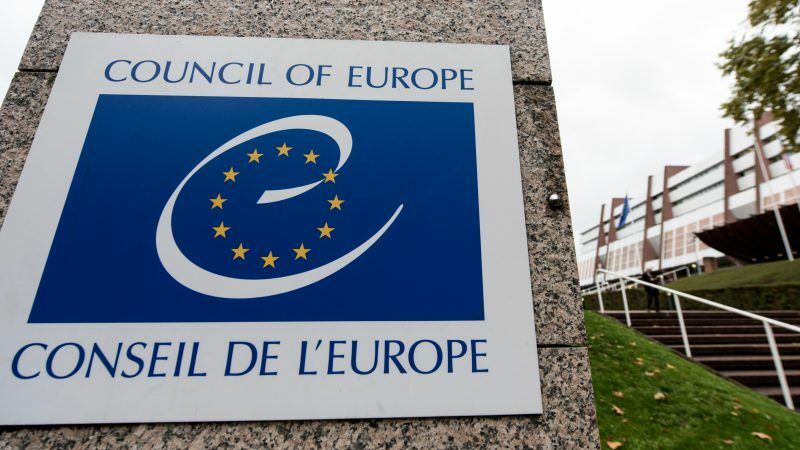 Put simply, Russia wants the Council of Europe to barter its values for money. What can happen this year? Previously, Russia tried to engineer its return by arguing for the need to “synchronize” sanctions between PACE and the CoE’s Committee of Ministers. But since the latter can impose no sanctions, this “synchronization” would mean lifting those in the PACE as well. Now the strategy is somewhat different. Instead of trying to game the CoE rules, Russia is trying to change CoE rules. In early October, two sets of proposals for changing PACE will be put to a vote: one related to the credentials, representation, and participation rights of national delegations, and one related to their voting rights. These were part of a much larger package of reforms proposed in a report by its Bureau’s Ad hoc committee in late June. While most of them were indefinitely tabled for more work, however, these two proposals have been expedited for the October vote, with no time for debate. It is difficult not to notice the hand of the Russian delegation behind these reform proposals. They touch upon Russia’s desperate wish to renew its representation, participation and voting rights. The early October vote will, in practice, amount to a vote on whether to lift or soften sanctions against Russia. If you read the proposals in the Ad hoc committee report, you would see some proposals that Russia would be eager to accept. One, for example, proposes “to exclude the right to vote and the right to speak from the list of representation and participation rights a delegation can be deprived of”. Another idea is to increase the threshold of votes needed for imposing sanctions: to make it 2/3 instead of current majority. Russia’s delegation itself has argued that “no one has the right to deprive elected deputies of their powers, except for their voters in regular elections”. These changes would make it difficult PACE to impose sanctions on any country that violates Council of Europe’s norms and values. In this way, Russia wants to destroy a major tool for defending Europe’s values. The vote in early October will be crucial. Two questions arise. First: how can an institution protecting democracy, human rights and the rule of law in Europe act if it does not have any leverage on violators? Second: is it acceptable for an authoritarian country to change the Council of Europe rather than changing its own behavior? For authoritarianism to triumph over democracy, rather than democracy triumphing over authoritarianism? This battle over PACE has massive implications for the future of Europe. Russia’s return to PACE, despite the conditions it laid out, would mean that even institutions created to defend European values are no longer able to do so. The return would also set a precedent: if the regime of sanctions against Russia can be broken once, they can be broken again – whether they are imposed by the EU, the US, the G7, or any other institution. If that happens, then our values are left defenseless – and aggressor nations can act with impunity. “Let them eat hate” is the slogan of Ukraine’s ultra-corrupt oligarchy. And so they are very busy writing anti-Russian articles like this.